What Are The Physical Characteristics Of Ethernet Signal Tester? First, the first test of the physical characteristics of the Ethernet Signal Tester is the port configuration test. Because there are many models of the switch, the number and type of ports of different types of switches are different. The port configuration directly determines the switch. The maximum number of connections supported, the number of sites, and the connection method can be said to directly affect the use of switches in the future. 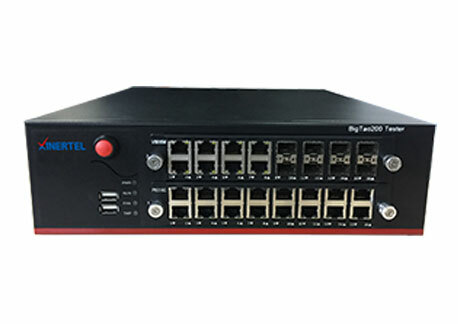 Second, the physical characteristics of the Cheap Network Tester are also tested modular. Most models have three types of bases, namely fixed base and module base and hybrid base. Different types of bases determine the installation method. For example, the fixed base can only be installed on the switch, and the modular switch can be plugged into the port module or plugged into the uplink module. This is actually the scalability of the test switch. Third, the switch test needs to be tested in terms of physical characteristics, such as hot plug and indicator light and control. The hot plug directly affects whether the network downtime can be reduced, and the test of the indicator light and control directly determines the future operation. Whether the switch is convenient and convenient and can get the feedback of the switch in the first time, so it is also a very important part of the test. Previous: What Are The Processes Of Network Link Tester? Next: What Are The Functional Tests In Network Performance Tester Test?